We’ve rounded up the best smart home devices for building the ultimate interconnected smart home environment. From full home automation to voice controlled lighting and intelligent appliances, we’ve put together the best smart home device setups for any occasion which can be used as is, or customized to suit your needs. With smart home technology advancing at such a rapid rate, it should come as no surprise that finding the best smart home devices and appliances for your specific needs and budget is such a minefield. As the number of devices and gadgets falling under the remit of ‘the internet of things’ (IoT) continues to grow exponentially, knowing where to start when picking out the best devices can feel like an uphill struggle. The good news though, is that with the right know-how and a bit of guided direction when it comes to brands, features and specs, finding the best smart home devices for your needs and putting the pieces together into a seamless and interconnected smart home experience is both simple and incredibly rewarding. 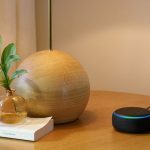 Whether we’re talking about smart lighting that reacts automatically or in response to your voice, or intelligent ‘learning’ thermostats that always know the right temperature for you and your home, the scope of smart home devices is getting broader by the day and the potential for a truly autonomous home experience continues to grow at a rapid rate. With these developments in mind, it’s now easier than ever before to build a fully integrated and interconnected system of the very best smart devices, sensors, and appliances that will truly transform your home and the way you live within it. In this guide we’ll be going over some of the different options you have for choosing the best smart devices for your intended layout and putting these components into action to build the best smart home system for your specific needs and budget. To get started, let’s take a look at some pre-configured lists of the best smart home devices currently available for assembling your own automated home setup. These lists have been compiled to provide a fully integrated smart home system that will work right out of the box with minimal setup but can also be added to or modified to suit your own preferences. Want to begin building the ultimate smart home system right now? START HERE. If you’re looking to get right into installing the best smart devices to have your connected home ecosystem up and running as soon as possible, we’ve put together five different pre-made systems for different budgets and for addressing particular home automation aims. The builds featured here effectively offer the best smart home devices currently available on the market and will provide you with the cutting edge of smart home technology once installed and setup. This doesn’t mean that you’ll be needing to rip out old sockets or wiring to get your new equipment installed and there’s nothing recommended in the following kits that would take longer than 10-15 minutes to install, setup, and activate within your home. Rather, these kits have been compiled for those who want to enjoy the maximum level of smart home automation and connectivity at the most effective price-benefit ratio with the minimum of hassle to setup and get underway. The kits and components featured in these lists are updated with the best smart devices at the best prices on a regular basis so you can rest assured that the recommendations given here are the absolute best in class (and the best value) at the time of writing. Assembling a smart home with a budget of $1000 will allow you to cover all of the major areas of a comprehensive home automation system incorporating smart lighting, security, temperature control, and voice activation for all of the devices in the setup. From multi-room smart lighting, automated locks and intelligent thermostats, through to the integration of a voice activated hub and receivers to control all of your smart devices from any room in the house, this setup provides the essential level of connected tech to build an incredible smart home ecosystem. With a budget of $1250 or more, it’s possible to start assembling a truly comprehensive setup of the best smart devices for your home that will provide you with an incredible level of automation and connectivity across most areas of your interior space. At this price point, you will be able to put together a smart home system that will include devices and gear which can react to one another autonomously as well as allowing for a level of synchronized and programmable control to trigger events throughout your home with minimal input from you. Even with this level of base line home automation in place however, a setup comprising the best smart devices within this price range will also provide you with an unprecedented level of direct control over your home environment, offering voice and app-based control over lighting, heating, security and more. This budget is an excellent entry point for building a totally compatible smart home device ecosystem that will work seamlessly right out of the box, while a foundational integration of the major platforms and wireless protocols will ensure you can build on top of this setup for years to come. 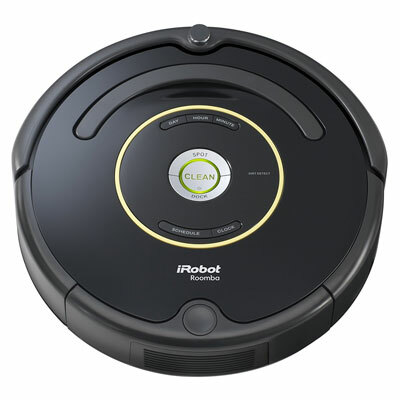 For $1500 you can begin to extend the automation of your smart home device environment to cover areas such as cleaning through the integration of the excellent Roomba 650 (one of the best robot vacuum cleaners for the money) to allow the maintenance cleaning of your home to take care of itself. Within this price range, we’re able to start assembling a ‘whole home’ smart device strategy that sees multiple room coverage across a wide range of categories. 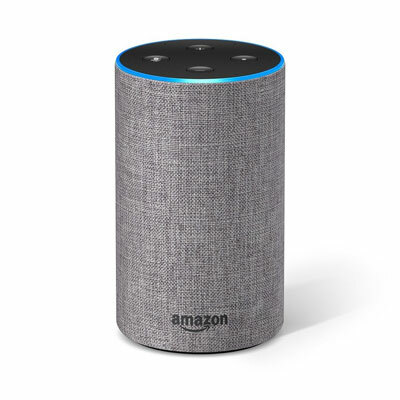 Voice control is handled by Alexa through both the Amazon Echo Plus hub and speaker system with extension to other rooms of your home provided using an additional Echo Dot device. Similarly, a total of 8 Philips Hue White Smart Bulbs allows you to build automated and flexible lighting into multiple rooms with plenty of scope for expansion moving forward. 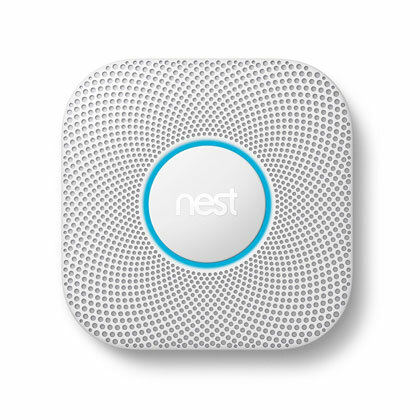 A suite of the best smart devices from Nest allows for total integration with Alexa and Philips Hue and an interconnected, automated, and programable approach to your home’s temperature, safety and security. While still paying ultimate attention to the ‘essentials’ of building a connected smart home (lighting, security, control etc), this smart device setup will put you solidly within the remit of owning the best indoor smart home devices and will ensure compatibility between those devices right out of the box. For $1750, you can begin to extend your smart home device setup into areas beyond the essential ‘foundation’ elements of a connected home ecosystem. We’re talking about things like the addition of colored smart lighting, an extension of device coverage outside of your home, and additional options for increased flexibility as your setup grows. If you’re looking to put together a smart home setup that starts implementing the best smart home devices at the front door, the inclusion of the excellent Ring Video Doorbell will provide you with instant notification (video and two-way audio) of who’s there as well as allowing you to communicate with them. Paired with the August Smart Lock Pro, you can also remotely let people in to the house, wherever you are. This set also introduces color changing smart lighting into the mix with the inclusion of the fantastic Philips Hue White and Color Ambiance Starter Kit. With this as the base for your smart home illumination (alongside 4 White Hue bulbs for everyday use), you can very quickly begin to blend the foundations of smart home automation fundamentals with a whole host of smart entertainment devices. You can begin to build a truly awesome smart home system within this price range covering everything from autonomous lighting and door locking through to the best smart home devices for sensing, monitoring, and reacting to the environment within your home. With a budget of $2,000, you can assemble a smart setup comprising devices that communicate with one another, detect when you’re home (or at work), respond to events inside and outside of the building, and provide complete control through voice or app-based interfaces. Put simply, you can create an incredibly intelligent and connected set of the best smart home devices which operate at the most optimum levels with or without input from a human. Imagine your home knowing when you get home from work each evening, setting the perfect temperature and turning on the lights, 5 minutes before you arrive. Your front door then unlocks automatically when you approach (which is lucky because your hands are full with the groceries you grabbed on the way home). Once you’re in the house you cross your newly cleaned carpet (which the robot vacuum took care of while you were at work). Assembling the best smart home devices in this setup will allow this level of automation and a whole lot more. For the In-Depth Guide on the Best Smart Home Devices, Start Here. In this guide we’re going to take a look at the very best smart home devices for building the ultimate connected home. 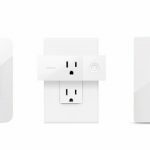 These devices represent the best in class for their respective categories and are the gold standard when it comes to assembling a smart home environment today. The smart home landscape is increasingly wide-ranging and with so many brands, protocols, standards, and ultimately information out there, bringing it all together in a definitive guide to the best smart home devices is quite an undertaking. With this in mind, this guide is necessarily long to ensure we cover everything you need to know to get you started building the smart home of your dreams. To help make this guide easier to navigate and to get you straight to the information you’re most interested in, we’ve included a table of contents below to get you right to the relevant smart home device and pertinent details as soon as possible. Building an automated home ecosystem that does everything you need and more means deciding on the best smart home devices within each category (and room of the house) to find the perfect fit for your specific requirements, budget and of course for your home and lifestyle. When it comes to finding the best smart home device for the job, there are a lot of choices out there stretching from the brands you probably know to some that you probably don’t. Generally speaking, when we talk about identifying the best smart home devices, we’re talking about those devices which perform consistently well across a range of applications, have maximum compatibility across different smart home protocols and platforms (will they play nice with other smart devices? ), and basically those which require the minimum input from us to do their intended task as effectively as possible. In this guide we’re going to go in-depth into our top choices for each device category (and why they make the cut), but for now it’s a good idea to get to grips with the factors you should be thinking about when choosing the best smart device for your home. Probably the top of the list when it comes to best smart home device prerequisites is the compatibility between a device and other platforms or systems. Ultimately, the point of putting together a smart home system is to end up with a solution where multiple different devices can be controlled remotely (through an app or using your voice), communicate with each other, and that can be programmed to work independently of any human input when required. Will you be looking to utilize voice control through Amazon’s Alexa system or Google Home for example? 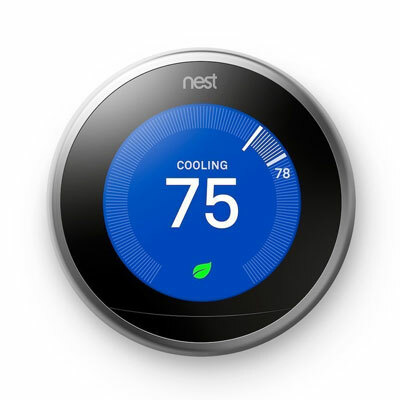 Maybe you’re looking at building your smart home around a Nest product such as the Nest Learning Thermostat? In these cases, many of the best smart home devices have been developed to work with these platforms right out of the box meaning minimal setup is required to get started. What this means In practice of course, is voice activated lighting and heating (for example) with a few taps of an app screen during setup, at which point all devices will be connected and talking with one another. This is definitely the easiest way to go about getting underway if you’re after the simplest setup process – the smart home equivalent of plug and play. Every smart device you look at will operate on some form of wireless protocol such as WiFi, Bluetooth, ZigBee, or Z-Wave. A good way to think of these different protocols is as unique languages that smart devices are using to communicate with each other. Unless your smart home devices are speaking the same language, you’re going to have difficulty getting things done. This is where smart hubs come in, effectively ‘translating’ the separate protocols you may have in use within your home setup and unifying them into a single language which can be controlled from a single interface. It’s absolutely accurate to say that not all smart devices are created equal. Take smart light bulbs as a good example of this principle. While there are a whole load of smart lighting solutions out there capable of delivering the basic elements of what would be considered ‘smart functionality’ – they can be remotely operated via an app or programmed wirelessly to activate at a certain time of day for example – this doesn’t mean there aren’t smart bulbs out there which do a lot more than this basic level of operation. You may want a smart lighting solution that has the ability to dim or increase in brightness, increase or decrease in ‘temperature’, or change colors entirely. There are smart bulbs out there which do all of these things and there are also smart bulbs out there which do none of them. This rule holds true across almost all smart devices and should form a fundamental part of the assessment criteria used when determining the most suitable device for your specific requirements. What level of autonomy do you want your smart devices to ultimately have? Do you want to be able to control your devices remotely or have them automatically react to external stimuli through sensors? These are the kinds of things to consider when settling on the smart devices that will make it into your final setup. Generally speaking (although not always), functionality – as with quality – increases with price and the mantra of “buy cheap, buy twice” applies to smart home tech in this sense, so an upfront investment in the smart device that do what you want now, can save you having to buy again further down the line as your system grows or your needs change. When it comes to building a system of the best smart home devices to create a fully automated environment, the sky is pretty much the limit in regards to what you can incorporate into your setup. The two elements that factor into the smart device selection process are undoubtedly budget and your specific needs and requirements. Primarily, the first consideration to take into account when building a smart home system from the ground up is a clear understanding of what it is you want your setup to achieve as this will play a role in the makeup of the ecosystem you build and the best smart devices for carrying out the job. Are you looking for a comprehensive smart lighting solution for example? Maybe you’re more interested in a total overhaul and upgrade of your home security to make it intelligent and connected? Perhaps you’re looking to add advanced voice activation and control to your devices? Or like many people, you may actually want to carry out a complete smart tech overhaul and build a fully automated smart home environment from scratch. Whatever the end-goal, it’s a great idea to have a think about what you’re looking to achieve, build upon, or improve in your home environment and set a specific goal to get it done. The great thing with the best smart devices on the market today is that they all serve as excellent foundational components for adding onto and building a comprehensive smart home system in the future. From a financial viewpoint, setting your budget will give you a price to work with when choosing the best smart devices for your home and will ultimately heavily influence your final choice of component devices for your system. If you’re in the market for the absolute best smart home devices, then budget obviously plays an important part in the buying process and with this requirement in mind, the top devices featured in this guide would not be considered low budget options. Whether we’re talking about the best smart device hub or a specific type of control system (many of the best hubs function in both capacities), the device which sits at the center of your smart home environment is ultimately the way you’ll interface and control all of the devices in your home. A smart hub is responsible for orchestrating a wide variety of smart devices in your home and consolidating them into a single point of control. This is particularly useful as your smart home environment begins to grow beyond just a few devices and is absolutely essential if you’re considering building up a system with devices which operate across multiple different protocols such as WiFi, Bluetooth, Z-Wave, or ZigBee. With a smart hub in place, you’ll have a single point of command and control over all of the smart devices in your home, meaning not only will different devices be able to ‘talk’ to one another in a common language, but you’ll also be able to interface with the entire cast from a single app or device. The best smart device controllers pretty much do what the name suggests and act as the interface between you and the devices which make up your smart home system. The format these controllers take can vary between traditional physical remotes or dedicated apps (for example a unifying app for a smart hub), through to voice activated controllers such as the Amazon Alexa powered Echo family, Google Home, or Apple’s Siri voice assistant. In every case, the best smart home device controllers are effectively doing an identical job in that they allow you to control your smart lighting, heating, entertainment, and other devices either through a physical interface or with spoken voice commands. Find out more about the best smart home device controllers and hubs here. The latest developments in this area are now seeing an evolution towards the leading voice controllers taking on the role of the smart hub as well as voice-activated control interface. 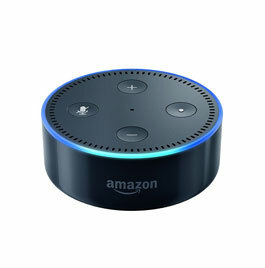 One of the best examples of this is the excellent Amazon Echo Plus, providing the well-established and highly compatible features of the original Alexa powered Echo device, in a solution which combines an integrated smart hub for syncing and linking all of your devices in one place. 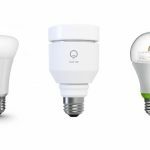 Smart lighting solutions are probably one of the simplest upgrades to make if you’re looking to bring the existing devices in your home into the connected smart era. What’s more, replacing the existing bulbs and lights in your home with a combination of smart bulbs, lamps, and other smart lighting devices provides an utterly transformative effect on the levels, ambiance, and overall control of lighting in your home from the moment you swap them out. The best smart home lighting devices primarily enable an unprecedented degree of automated, responsive, and programable lighting, throughout your home meaning you can take control of your home illumination like never before. Find out more about the best smart bulbs and devices in our guide to smart lighting. Alongside this, the ability to brighten or dim the smart lighting in your home using your voice, switch off lights in other rooms remotely (even when you’re away from home), and to have your lighting react to your entertainment, movies, and music, will change the way you think about your home lighting forever. 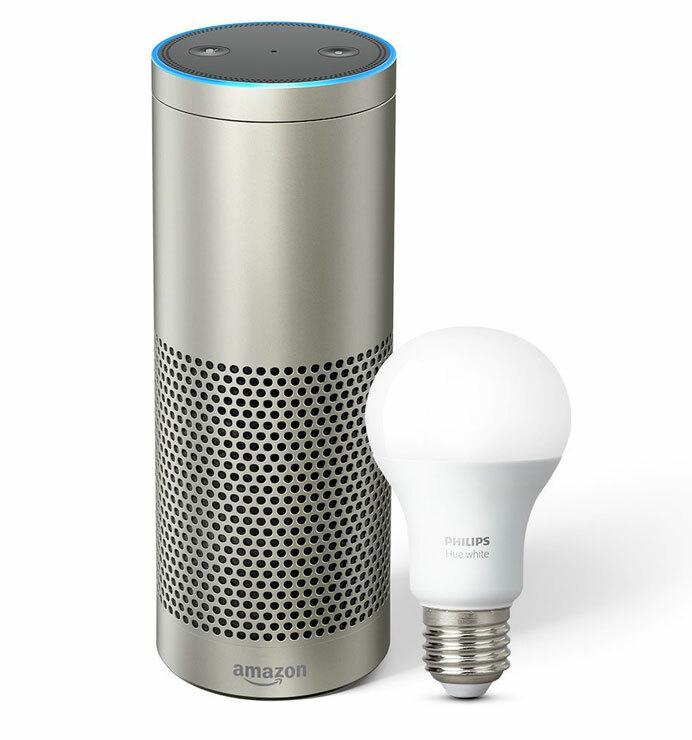 In considering the best smart home lighting devices, we’ve looked at everything from the compatibility of bulbs with other smart devices, as well as the functionality and feature set of individual lighting solutions and the ability to enhance the operating functionality through integrating additional devices such as motion sensors. Having the ability to program the temperature in your home is not new. Having the ability to have the system learn, adapt, and react to the actions of your family and other devices in your home most certainly is and the best smart home devices for home heating handle this in their stride.. The best smart thermostats and smart heating controllers are looking to automate your home heating experience to maintain the most comfortable temperature in your home in the most efficient way possible. Alongside the convenience this brings to home heating and cooling, the best smart home thermostats work so efficiently that using them represents potentially huge financial savings as well as being more environmentally friendly by heating your home in the most optimal way throughout the year. Creating a fully connected system of the best smart home devices allows the integration of smart temperature control alongside other previously separate elements (such as lighting and home security), providing the ability for fully synchronized and automated environmental control to create the perfect mood and to react accordingly when you leave the house or arrive home from work at the end of the day. Creating a fully featured smart home doesn’t just mean replacing old devices with newer, smarter ones and the integration of smart power outlets and plugs are the perfect way to retrofit any existing outlet-based devices in your home to make them compatible with the rest of your connected devices. Sitting in-between your wall power socket and any device or appliance that you’d usually plug in, the best smart outlets allow many of the basic level features of dedicated smart devices to be applied to existing devices such as lamps and coffee machines. With a smart outlet or plug in place, you then effectively have the same level of smart programming and control over your traditional devices with the ability to activate through an app or using your voice, as well as setting up your devices to response to external inputs or run on a programmed schedule (for example outlet-based lights switching on in response to motion or at a certain time of the day). In much the same way that smart outlets operate, smart light switches allow you to retrospectively update any non-smart fixed lighting in your home by replacing the wall switch with a smart equivalent. With this in place, lights in the room can be treated in the same way ad other smart outlet connected devices when it comes to remote control, scheduling, and responsive action. The safety and security of your family and home should always take priority when it comes to planning the installation of new additions to your home environment. Some of the very best smart home devices for securing your home come in the form of smart locks, both for the main entrances to your home and also as smart padlocks for securing external areas such as gates, sheds and other valuables. The convenience of smart door locks become clear as soon as you start using them and whether it’s the ability to grant family and friends remote access in your absence, or being able to automatically unlock the front door handsfree when you arrive home (and auto locking when you leave), the benefits are pretty amazing. As well as providing an entirely new approach to securing and accessing your home, the latest and greatest smart locks offer a whole range of smart features such as providing real-time information to your smartphone if a lock is activated or providing remote access (to housekeepers for example) between a certain time window during the day. Smart padlocks work on a similar principle to their heavy-duty cousins, albeit with a slightly reduced feature set. The biggest advantage here is often in the ability to wirelessly unlock the device using a smartphone while many of the best devices in this category will also provide the ability to track and grant third-party access to your home if you’re not in. From keeping an eye on your possessions when you’re away from home to monitoring a nursery, the best smart home cameras are perfect for providing remote visibility in other rooms as well as offering a whole host of features such as night vision and motion detection. The very best smart home cameras will offer a wide range of functionality including HD, motion activation, night vision, and built-in speaker and microphone functionality to allow two-way verbal communication. Smart home cameras at this level can be used for a wide range of purposes, switching effortlessly between child and pet monitoring one moment, to home security duty the next. You can also expect as standard, the ability to remotely operate, activate and communicate through your camera via a connected app on a smartphone or tablet along with receiving automatic notifications if your smart home camera detects motion or sound. 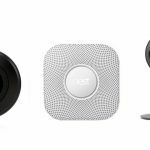 As with most of the other best smart home devices in this guide, the top smart cameras also integrate seamlessly as part of the wider connected home ecosystem and will both work with, and complement other devices in your setup such as lighting and smart security systems. Smart home entertainment is a relatively wide remit, effectively covering anything you’d typically use in your leisure time (rather than productivity or time-saving devices). With this in mind, we’re really talking about smart home devices around the areas of audiovisual equipment as well as a couple of other specific categories, all of which we’ll cover in this section of the guide. Building a truly connected smart home entertainment experience starts at the foundational level of areas like music, movies, and games. Beyond this though the category expands much further to incorporate the wider range of connected entertainment opportunities offered by the best smart home devices, such as integrated smart lighting that reacts to whatever you’re watching or listening to, or even just sets the ambiance in a room. We’ve finally arrived in the age of the automated cleaner and whether it’s taking care of carpet cleaning or mopping and dusting a hardwood floor, the latest robot vacuum cleaners and mops are on hand to take care of this chore without you needing to lift a finger. The best smart home devices for cleaning primarily include the growing range of ever-smarter robot vacuum cleaners which will take care of the maintenance cleaning of your home flooring at any time of the day or night. Once the job is done, the best robot vacuum cleaners will automatically return to their charging station until they’re next scheduled (or requested) to get cleaning again. There are a wide variety of smart home cleaning devices on the market, with feature sets and budget often varying greatly. What this means in practice however, is whatever your specific needs and situation, there’s a smart home cleaner to help you get the job done. From robot cleaners specialized for homes with pets, to those with an extra-long battery life for larger spaces, and even those for cleaning hard floors with water, we’ve covered the best smart home cleaners for every requirement to help you find the perfect automated assistant. The remit of the smart home doesn’t end at the door and some of the best smart devices for use outdoors in the yard or garden are designed to save you time and money on tasks such as lawn maintenance and watering as well as providing additional levels of automated lighting, visibility, and security in the form of outdoor smart lighting and camera systems.